Hello there! Loosely translated, my Chinese name means ‘gift’, and I would agree – I am going to make some family so very happy! 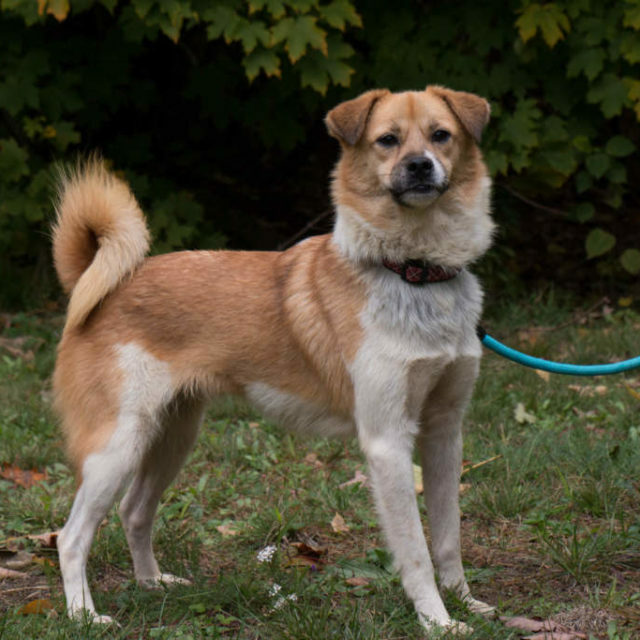 I am a 2 year old male, happy, joyful and in love with humans. Despite my rough start, I’ve come to know love and kindness here at Carters, and they have promised me that there is a family out there who will love me too! I’m house trained, play well with other dogs, sleep well, eat well, love to go for walks and really enjoy romping in the play yard with the other pups here. Although I’m quite content, I really would like a home and family to call my very own. Could that be you? If you are interested in adopting Xiao Fu, please complete the adoption application. Once the application has been received and reviewed, a member of the team will be in touch to set up a meet and greet. Xiao Fu’s adoption fee is $500. and includes his neuter, up to date vaccinations and micro-chip.